Everyone knows a teacher, whether it’s one from your past or present day, or your child’s current educator. Though, since you may not know them on a deep personal level, displaying your appreciation for them during the holiday season can be a challenge. Luckily, we’ve compiled our top six products perfect for teacher gifts, so you can abstain from giving impersonal gift cards and instead provide them something that can benefit their profession! Scissors are definitely an essential in any classroom for art and crafting. 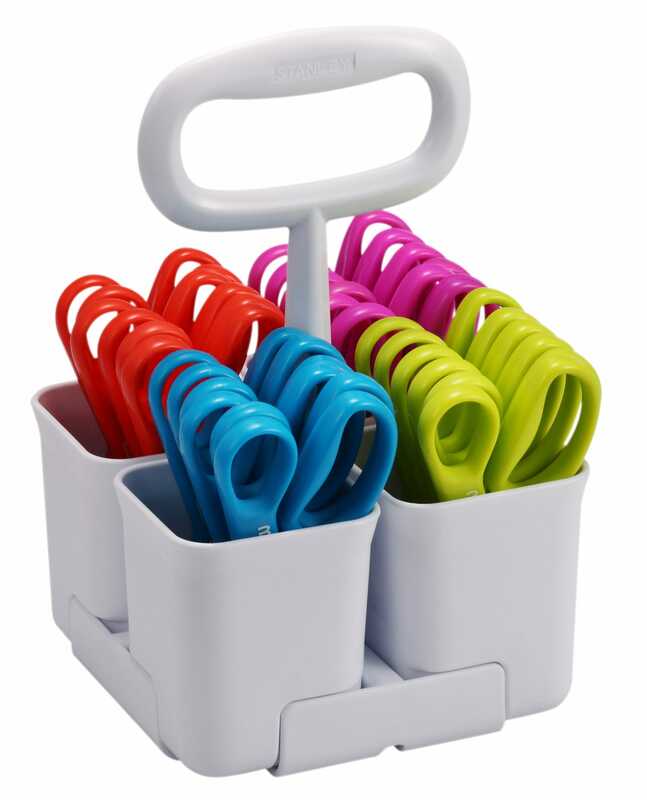 With this set of 24 Stanley 5” Kids Scissors, kids get to pick their favorite of fourcolors and are able to safely store them in the compact scissor caddy. Plus, the caddy can be used for so much more than just scissors—it can store paint brushes, colored pencils, craft supplies and more. We’d like to think that there’s no better gift to a teacher than the gift of organization! Also important for crafting and classroom projects are staplers. However, regular sized units may not always be suitable for small hands. 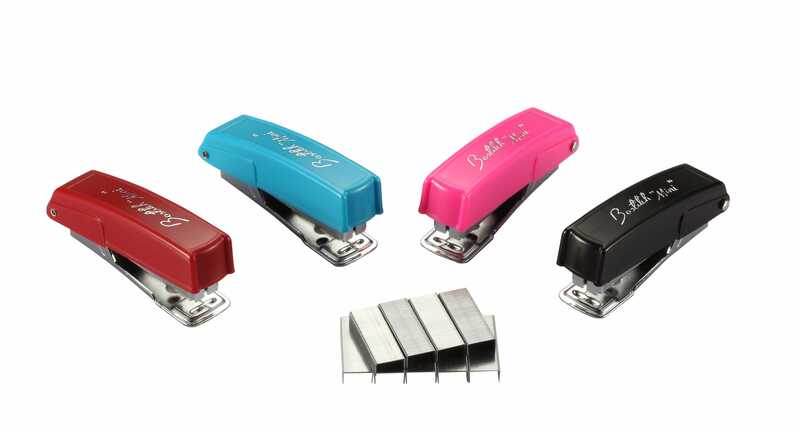 Providing a teacher with our Bostitch Mini #10 Staplers in assorted bright colors means keeping tiny fingers safe and crafting fun and worry free. Any teacher will surely appreciate the luxury of a quiet electric pencil sharpener. 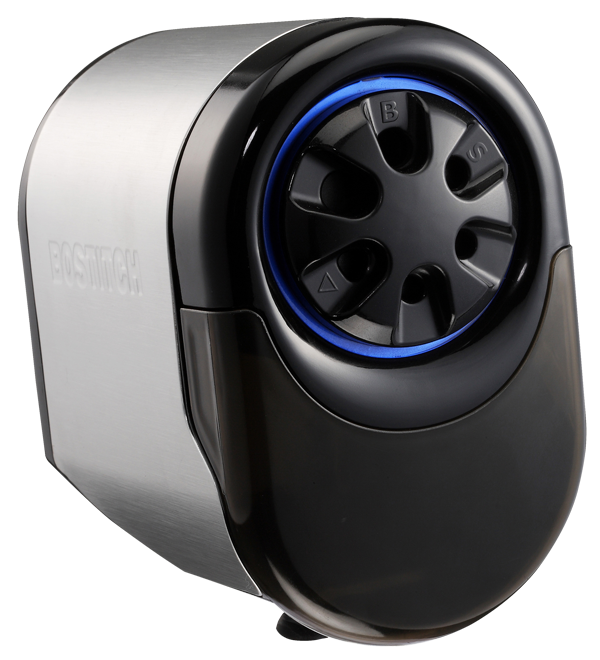 With our QuietSharp™ Glow Classroom Electric Pencil Sharpener, the motor shuts off and a light comes on when sharpening is complete, making it easy and fun to use for children. Additionally, it comes with the ability to replace the cutter when dull, making it budget-friendly and the unit long-lasting. Specifically designed for a classroom of eager students, it’s also colored pencil capable and made for continuous use. Teaching kids how to stay neat and organized starts with their binders. To help students in this effort, it makes sense for instructors to provide pre-punched handouts. Though, that may require a lot of work on their end. 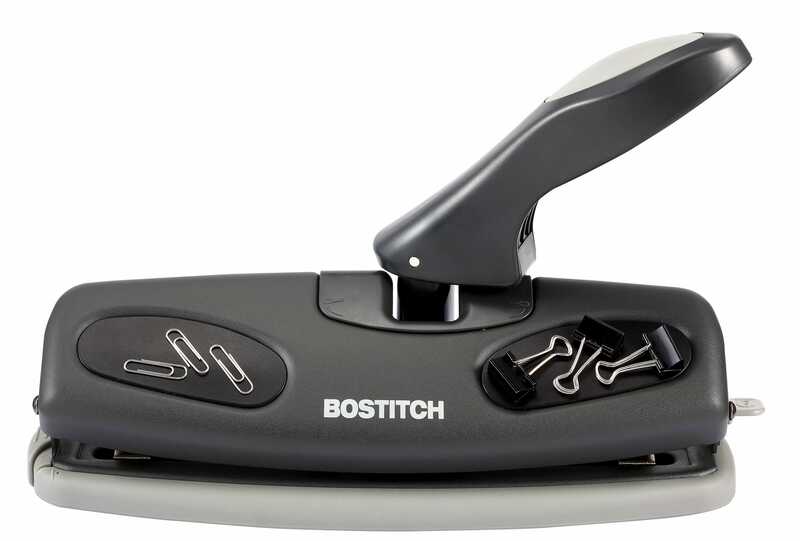 Gift them with the Bostitch EZ Squeeze™ Adjustable Hole Punch, which features a comfort grip and can easily punch through 25 sheets – the perfect amount for a class! When having to staple a classroom’s worth of work packets and activity books, time is definitely of the essence. That’s why we recommend using a specialized stapler that’s up to the task. Whether it’s a Long Reach Booklet Stapler or a Standard Booklet Stapler, these products can become a luxury for teachers and are tools they’re not likely to buy for themselves. Who doesn’t love receiving something with a little extra? While the mini staplers are great for the students in a teacher’s life, this Velvet No-Jam™ Stapler Plus Pack is ideal for the teacher. 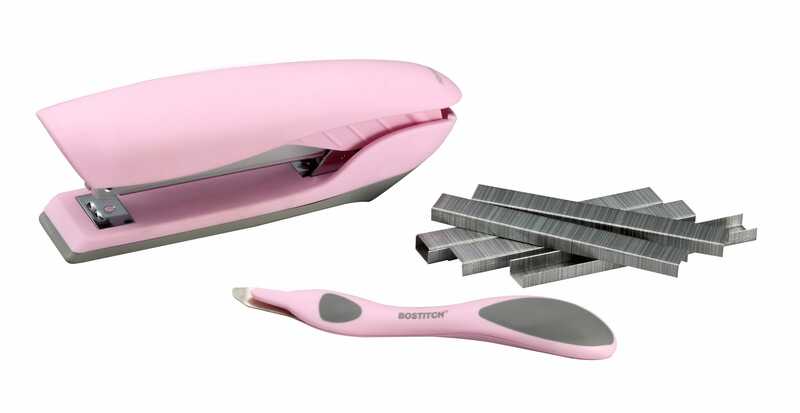 Packed with a no-jam stapler that accommodates for up to 20 sheets and a matching staple remover, this is technically two presents in one! Pink not the color of choice? Black is also available! It’s said that the best gifts come from the heart. While that may be true, the best gifts are also the most practical and reliable. If buying for a teacher is on your to-do list this holiday season, then giving any of the above supplies will show just how much thought you put into it! Our holiday gift to you - take 15% off your purchase of teacher gifts using this special code!